Imprisoned civil rights activist Arash Sadeghi has urged “all contentious people” to call for the release of his ailing wife, Golrokh Iraee Ebrahimi, who according to informed sources is suffering serious health problems due to a two-month-long hunger strike. “I call on all awakened, conscientious people to be the voices of Golrokh and Atena’s [Daemi’s] innocence before another tragedy takes place in the aftermath of forced suicides in the prisons,” wrote Sadeghi in an open letter from Rajaee Shahr Prison in Karaj. “The IRGC and the Judiciary will be directly responsible for anything terrible that happens to them,” added Sadeghi, who has been serving a 19-year prison sentence since June 2016. A source close to the Iraee family told the Center for Human Rights in Iran (CHRI) on April 9, 2018, that Iraee has lost more than 44 pounds and suffered frequent convulsions since starting her dry hunger strike in February. The source added that Iraee was taken to Baqiyatollah Hospital, controlled by the Islamic Revolutionary Guard Corps (IRGC), in Tehran on April 4 after losing consciousness and could suffer serious kidney damage from the effects of her hunger strike. Iraee is protesting being illegally transferred with fellow political prisoner Atena Daemi from Evin Prison in Tehran to Gharchak Prison in Varamin, south of the capital, in January 2018 after an agent of the IRGC tried to beat the women. The women have argued that their transfer from Evin to Gharchak violates Article 513 of Iran’s Criminal Procedure Regulations, which dictates that convicts should serve their terms in prison facilities in the judicial district where their sentences were issued, or near their city of residence, in this case Tehran. Gharchak Prison is believed to hold more than 1,000 female prisoners convicted of various crimes including violent offenses. The prison has a notorious reputation for poor sanitation, overcrowding and under-resourced medical staff. Iraee began serving a six-year prison sentence in October 2016 for the charges of “insulting the sacred” and “propaganda against the state,” primarily for writing an unpublished story about the practice of stoning. 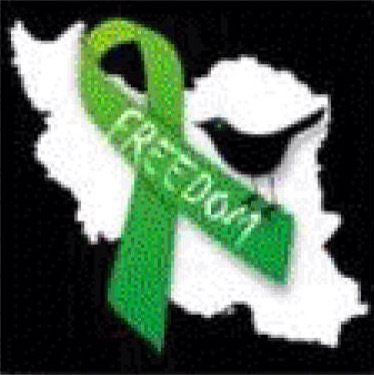 Daemi has been serving a seven-year prison sentence since November 2016 for the charges of meeting the families of political prisoners, criticizing the Islamic Republic of Iran on Facebook and condemning the 1988 mass executions of political prisoners in Iran.